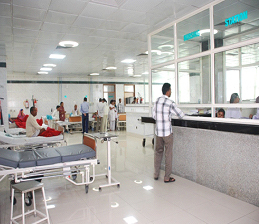 The RMLIMS Hospital provides tertiary care to the patients, who come not only from the neighboring states but also from far off states like Madhya Pradesh and Bihar. The total bed strength is 350. 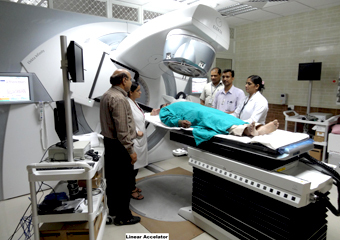 The Department of Radiation Oncology has been conceptualisd as comprehensive cancer care center providing patient care services, education and research.State of art cancer treatment equipments with high end technology has been installed and dedicated to the patients with commited team of radiation oncologists, Medical Physicists, Technologist and Nurses. The aim of Radiation Oncology Department is to provide most advanced cancer treatment to the patients with International standards. The Department of Neurosurgery, Surgical Oncology, Urology, Gastrosurgery, Cardiology and Gastro Medicine have laboratory facilities. The Department of Anaesthesiology is providing specialities specialised anaesthesia care for Neuro-Surgery, Urology, Onco-surgery, Plastic surgery and interventional Radiology Procedures. 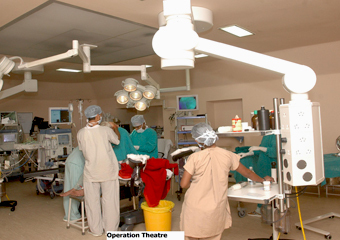 The Department of Surgical Oncology is capable of performing a diverse range of oncology surgeries in the areas of Head & Neck cancer,Breast cancer,soft Tissue Sarcomas,Gastrointestinal malignancies and Gynaecological cancers. 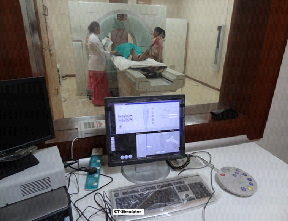 Nuclear Medicine facilities are available at Lohia Hospital for investigating and diagnosing a number of diseases related to brain, heart, liver,cancer,Brain Tumer,ovarian cancer,kidneys, etc. 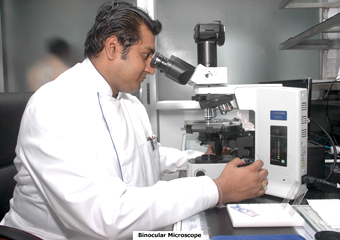 The Department of pathology at RMLIMS has been planned as a complete state of art investigation service and academic deapartment. 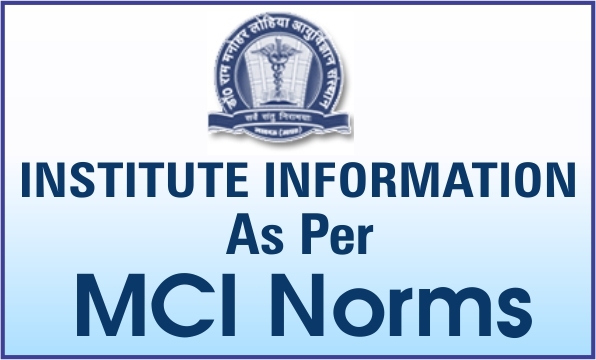 The Department has facalities for high end investigation not aplicable at most government hospitals in the state. The Department is also focussed on research activity and several research proposals are functional in the department. The slide scanning facility allows E-slides to be prepared and viewed by consultants at distant sites. 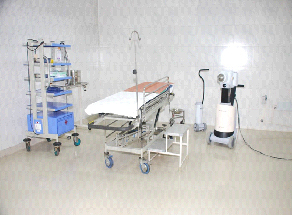 The Hospital also has an intensive care unit, cardiac care unit, respiratory,care unit All of these are equipped with life support equipments for providing specialised care to the very sick patients. The Hospital would provide comprehensive/holistic medical care which will include general care in various fields of medical/surgical an different super specialities in which selected super specialities are not avaliable or grossly inadequate in this region. The aim of CTVS department is to provide advanced tertiary care to patients with the latest facilities and in view of growing epidemic of cardiac diseases in our country. Histology laboratory is providing routine diagnostic and specialized histopathlogy as well immunnohistochemistry services. Histopathlogy labs have a fully automated immunnohistochemistry with an extensive list of avaliable antibodies that are optimized and in use. 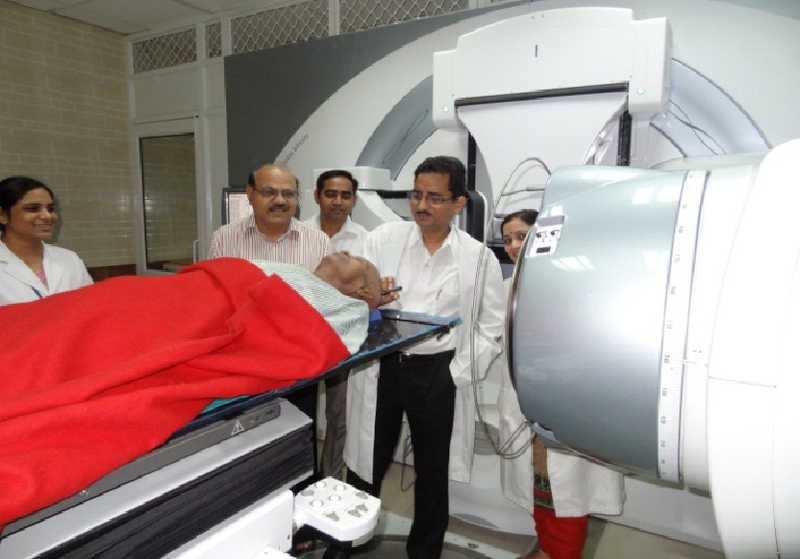 Radiation Oncology: The department of Radiation Oncology, conceptualized as part of a comprehensive cancer care centre providing cutting edge patient care services, started functioning in February, 2010. 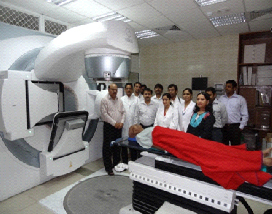 State-of-the-art cancer treatment equipments have been installed with committed team of Radiation Oncologists, Medical Physicists, Technologists and Nurses. Daily OPD runs from Monday to Friday. 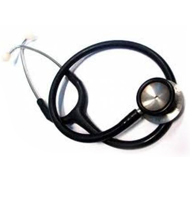 Besides consultation, the patient care facilities such as chemotherapy, supportive treatment in day care ward. * Advanced Multi Energy LINAC-I ( Elekta Infinity with MLCi2): IMRT, VMAT, IGRT with 2D /3D volumetric Imaging, 6D Robotic Treatment Couch for sub millimeter patient positioning and Respiratory motion management using Active breathing Coordinator. * Advanced Multi Energy High End LINAC-II (Elekta Synergy with MLCi2 and Apex micro Multileaf Collimator): IMRT, VMAT, IGRT with iView GT MV imaging, SRS, SRT. The First LINAC, ELEKTA Infinity was commissioned in Oct 2012 and since then about 650 patient of various sites have been treated. Dr Madhup Rastogi and Dr Rahat Hadi completed advanced training for applications of IMRT, IGRT, SRS, SRT on high ended Linear Accelerator at Munich, Germany in June 2013 and have successfully started its implementation.